I'd go for Alien Breed on the Amiga. Really atmospheric, with lots of polish. I would have been 13ish when I first played it, and it got me pretty scared! Burnout 3 was an awesome party game - the mode where you have to cause the biggest pile up! Also liked Fusion Frenzy quite a lot - again a decent party game. I had a lot of love for CJ Elephant Antics on C64 when I was a kid - really appealed to me as a kid and at pocket money prices too. Since then though, Micro Machines V3 on the PSX is probably my favourite - such a great party game, lots of fun with that one. Nice issue, enjoyed the Greg Tavares interview in particular. The print quality wasn't great this time - particularly in the review section and the readers letters - a lot of blurry headings and screenshots. I don't think it was the whisky. Awesome thanks . I love the sound of that description too! 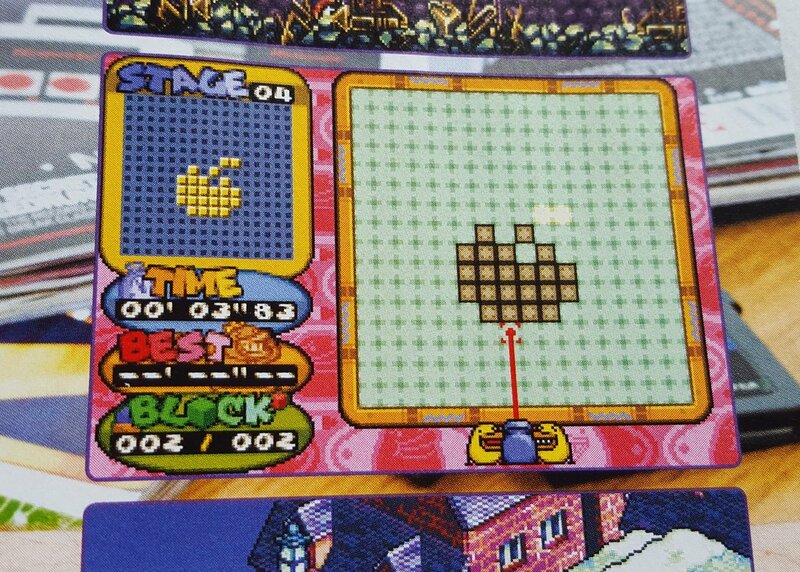 This screenshot was in the GBA article but it isn't labelled. Which game is it? Looks cool.